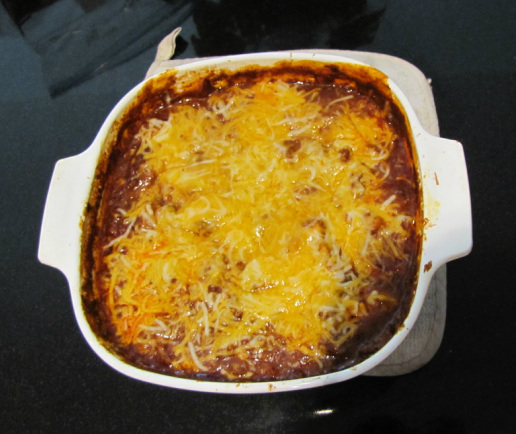 In large oven safe pan (I use a corning ware dish) mix all ingredients except 1 cup of cheese. Cover and cook 350 for 30 minutes or until onions are soft. Top with remaining cheese and let that melt. Fix a green salad and you have dinner.